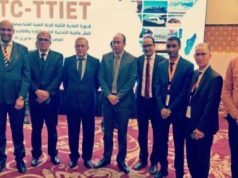 Rabat - The Moroccan minister of foreign affairs, Nasser Bourita, has once again addressed the reason behind Iran’s alleged support for the Polisario Front. 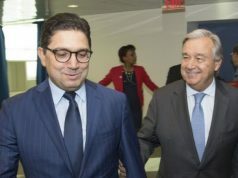 Rabat – The Moroccan minister of foreign affairs, Nasser Bourita, has once again addressed the reason behind Iran’s alleged support for the Polisario Front. Since Morocco announced its decision to cut diplomatic ties with Iran on May 1, the official has given interviews and analyses to local and foreign news outlets on why Iran supported the separatist group. It was not the first time Morocco severed ties with Iran. In 2009, the North African country made the same move. In his recent exclusive interview with US news outlet Breitbart News, the official gave the outlet a document that showed “the vast contacts that have ensued between Hezbollah and Polisario Front commanders in Beirut and in Algeria since” November 2016, reads the interview. Bourita told Fox News in a previous interview that Hezbollah transferred military equipment to Polisario’s militia in the Tindouf camps in southern Algeria. The equipment included sophisticated missiles: the SAM-9 and SAM-11 surface-to-air missiles. In the interview with Breitbart, Bourita gave his analysis about Iran’s motives behind its proxy’s alleged support of the separatist group. Subsequently, Bourita explained why Morocco decided to cut ties with Iran in 2009. Bourita said Iran has long wanted to expand its presence in North Africa. 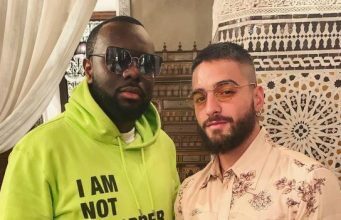 “They tried to develop a presence in Morocco. Today they are repeating the efforts in other North African countries. They attracted some of our youth by giving them scholarships,” he said. 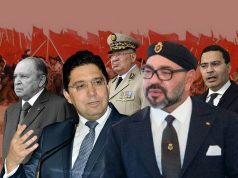 After Morocco accused Iran of collaborating with Polisario through Hezbollah, Algerian activists expressed animosity online towards an Iranian official, Amir Al-Moussawi, serving as the country’s cultural attaché to Algeria. 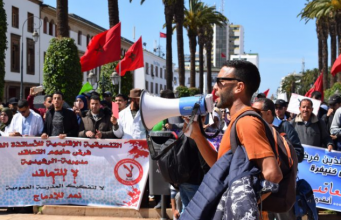 Less than six days after Morocco cut ties with Iran, Algerian activists urged the Algerian government to expel Al-Moussawi. A former Algerian military officer, Nawar Abdel Malik, also speculated that Al Moussawi could be the cause of the new tension between Tehran and Rabat. 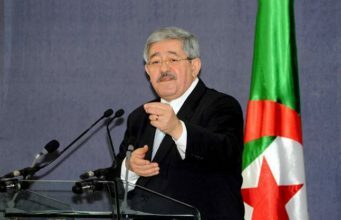 “Since 2015, we have been warning Algeria of the Iranian embassy, but the Algerian authorities have ignored this, despite serious information we have presented in our campaigns against Amir al-Moussawi, because of his suspicious activities in a diplomatic crisis with Morocco,” said the former officer. 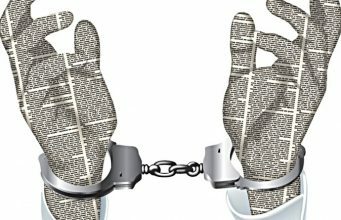 The activities of the cultural attaché made the authorities question why the official would “promote” Iranian books. The Moroccan government interpreted the activity of the Iranian cultural attaché as a way to “undermine government authority” by convincing Moroccan youth to favor Shia Islam as practiced in Iran. Bourita has also accused Iran of targeting youth in Europe. “They are targeting our diaspora in Europe, in Belgium in particular. There, because of the hesitation of Europe to manage Islam, they were left to themselves,” said the official. 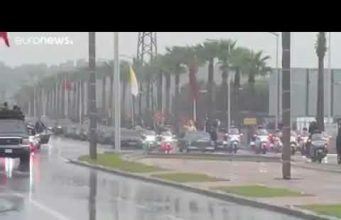 Tension between Morocco and Iran escalated in 2017 when the North African country arrested Lebanese Hezbollah financier Kassim Tajideen in Casablanca. 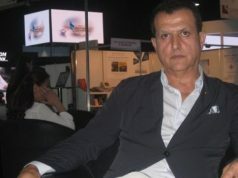 In one of his recent interviews, Bourita said that the Moroccan arrest of the top Hezbollah financier changed the Moroccan-Iranian relationship. For Bourita, Iran represents a threat to the US and Israel as well as an “economic threat in Africa. This Mr. Tajideen who was captured in Morocco was laundering money in Africa. All the benefits to Iran from Hezbollah are being reinvested in Africa,” he said. 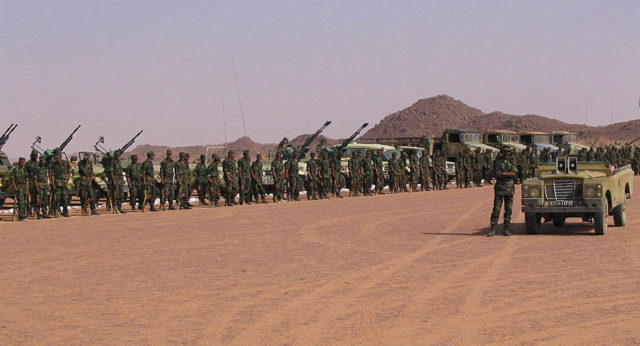 The official said that when Morocco proved the alleged Polisario-Hezbollah collusion, Hezbollah members were ordered not to talk “with Lebanese accents but to be more discreet when they are coming” to Tindouf. 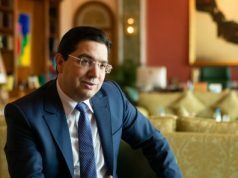 In contrast to what Jeune Afrique reported earlier this month, Bourita said that the Moroccan embassy in Lebanon received threats from Hezbollah. “We had to relocate our embassy and bring our people back from Lebanon and move our embassy because it had been in [Hezbollah controlled] southern Beirut,” he said. 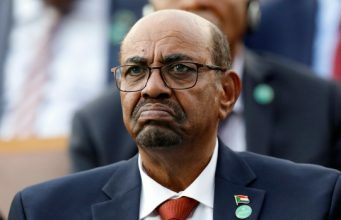 Jeune Afrique quoted a source from the Ministry of Foreign Affairs on September 11, who denied Morocco was forced to relocate its embassy from the Hezbollah-controlled area. Bourita explained that this strategy aims to expand Iranian power in North Africa and West Africa. “Iran thinks that it has control and is proud to say that it controls four or five capitals in the Arab world.” He added that the country found Polisario an “attractive organization” to complete its mission. “Polisario has an advantage for Iran because they know the area. They are traffickers. The humanitarian aid [to Western Sahara] has been decreasing so they are smuggling many things, cigarettes, camels etc.” Bourita said that this is why the Polisario-Hezbollah collusion represents a threat for Africa. Bourita told Breitbart News about his visit to the US to secure support from the US for Morocco’s “efforts against Iran and Hezbollah,” he said. Bourita flew to the US recently and met US Secretary of State Michael Pompeo on September 17. The two officials “discussed opportunities to expand our strong economic and security cooperation, including shared efforts to end Iran’s support for terrorism,” according to a statement from the US Department of State. According to Bourita, the current and former US administrations find the Moroccan Autonomy Plan introduced in 2007 as a “credible, serious and realistic solution” to the Western Sahara issue. “What we need today is how to go from here. First, not to just have a diplomatic statement but to go from statements to acts. If you consider this plan as serious, credible and realistic what can you do to help concretely to advance it?” Bourita told the news outlet. The official also said that Morocco aims for more cooperation with the Trump administration in the business field.